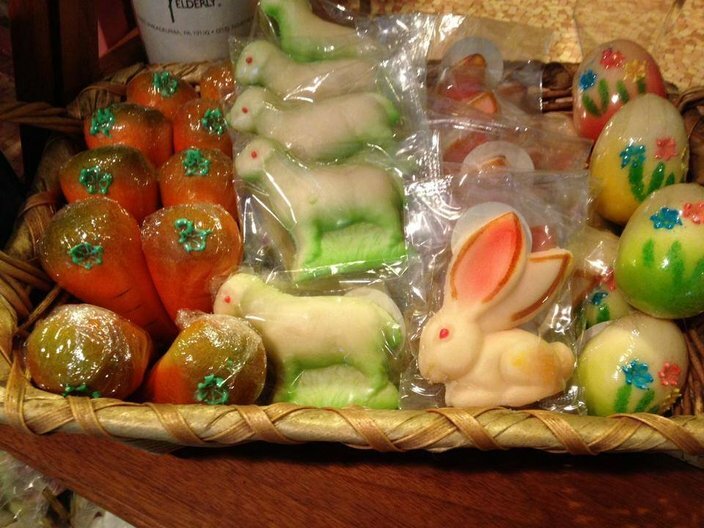 Tuesday marks National Marzipan Day, a day devoted to celebrating one of the sweetest treats around. Marzipan is a confection made from sugar and almonds reduced to a paste. This sweet paste is used in candy, like chocolate-covered marzipan, as well as in fillings for cakes, cookies and pastries. Marzipan is enjoyed worldwide. Check out these local places to enjoy the treat and satisfy your sweet tooth. Marzipan sheep can be seen in the background of this photo of pastries from Isgro. Established in 1904, Isgro Pastries is right off the Italian Market in Philadelphia. 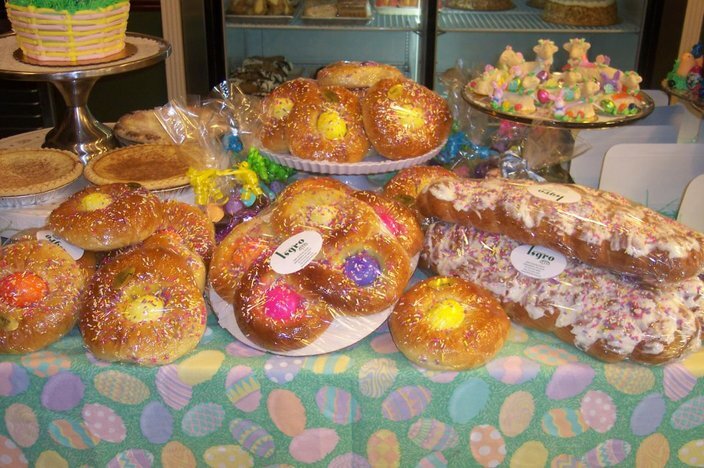 The shop sells a number of pastries and treats, including cannolis, cakes, cookies and marzipan lambs for Easter. The bakery makes the lambs in nine different sizes from molds crafted by Isgro’s grandfather decades ago. 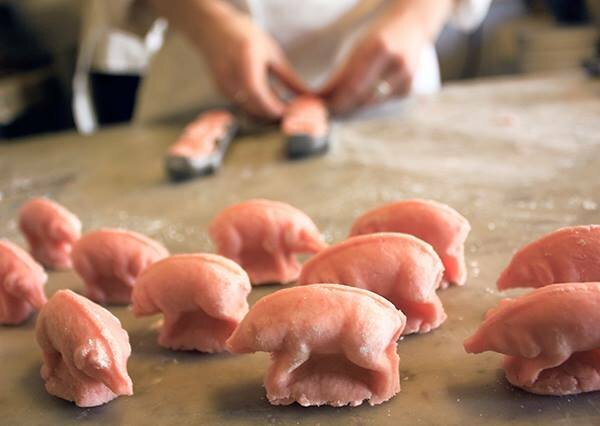 Marzipan pigs at Shane Confectionery. House-made marzipan is available year-round dipped in dark chocolate at Shane Confectionery on Market Street. This sweet treat is made with "almond meal and confectioners sugar and flavored with a hint of rose water." Shane also offers marzipan pigs for the new year. An ancient German tradition, the pigs have been exchanged for centuries around the holidays, "bringing good luck for the year ahead." Zipf's Candies on Germantown Avenue in Chestnut Hill specializes in fine chocolates, imported licorice, maple sugar candy, marzipan and seasonal holiday favorites. Stop in and try Zipf's fine German marzipan, or grab a box of new maple sugar candy. If you'd prefer to make some marzipan yourself, try out this recipe from Fantes Kitchen Shop in the historic Italian Market.